Photos from 2008 and 2010 by nailhed.com. Photos from 2016 by my friend Rob Yasinsac. It would be easy for this modest structure at 5555 McGraw Avenue on Detroit's west side to escape all notice if it weren't for the fact that it stands alone in the midst of an urban prairie. 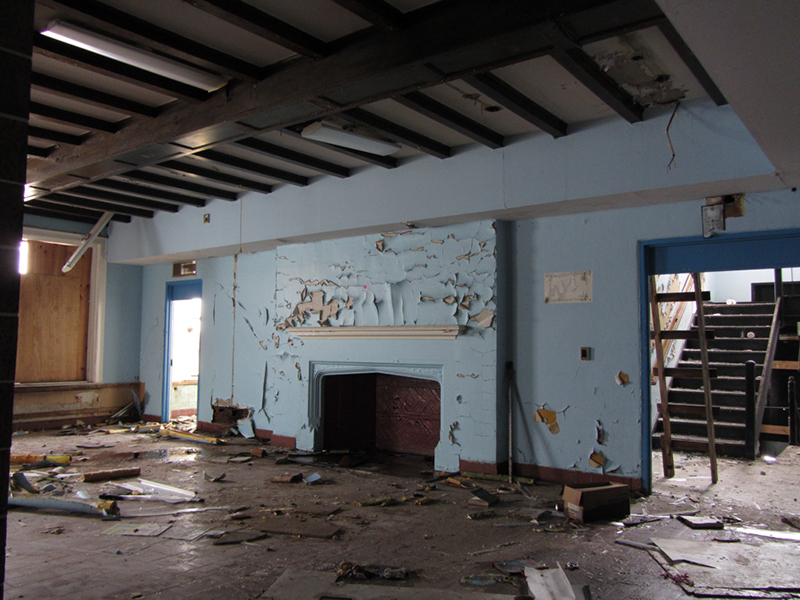 It was Detroit's oldest still-operating recreation center when its copper pipes were stolen in September 2006 forcing the city to close it down for good. It was built in 1921 and designed by one of my favorite architects, Marcus R. Burrowes (whose former residence I once explored in an older post). The sports section of the Detroit Free Press recounted the night that three Kronk boxers made history at Joe Louis Arena: March 2, 1980. Hilmer Kenty took the world lightweight championship by knocking out Ernesto Espana, middleweight Mickey Goodwin knocked out Leo Saenz, and crowd favorite Tommy Hearns won a welterweight title by knocking out Angel Espada...the impact of all three of those huge upset victories occurring in one night was what put Kronk on the map. Kenty, Goodwin, and Hearns were then considered the underdogs who were going up against the world's greatest boxers, and even the hometown crowd at Joe Louis Arena expected them to take a beating, but when the Motor City fists came out flying and annihilated the reigning champions so completely, it went down as one of those rare moments in history where downtrodden Detroit showed the world what power it still had left in it. Even Joe Louis himself was in attendance. Sugar Ray Leonard (who had also once trained at Kronk) was slated to fight Hearns, but didn't show. If he had, there was a good chance that two world championships would have gone to Kronk fighters that night. Kronk founder and manager Emanuel Steward was quoted as saying that Detroit had officially burst it's way into the big leagues of boxing—"It's the Mecca of boxing right now, I'd say." Kronk may not be the statistically "best" boxing club of all time, but it is without a doubt the one with the most name recognition. Even the name "Kronk" sounds like a verb for getting blasted in the head, as in "You just got kronked," or "Fool, I'm 'bout to kronk you one." And I'm sure that the name carried even more caché on the street; if local bullies heard that a neighborhood kid had trained at the Kronk, no doubt this would've served as a halo of protection, whether true or not. 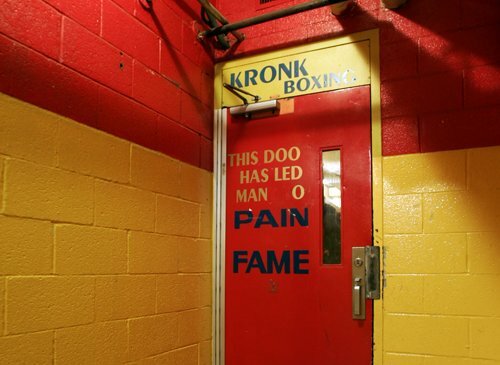 The story of Kronk Gym is the life story of its founder Emanuel Steward, which is told in great detail on the gym's official website, kronkboxingteam.com. Emanuel Steward had been making a name for himself in the amateur boxing world since the 1960s, but future Detroit Mayor Coleman Young helped him get a job at Chrysler, and he ended up becoming a master electrical engineer at Detroit Edison as well. The center was used by the community for general recreation. 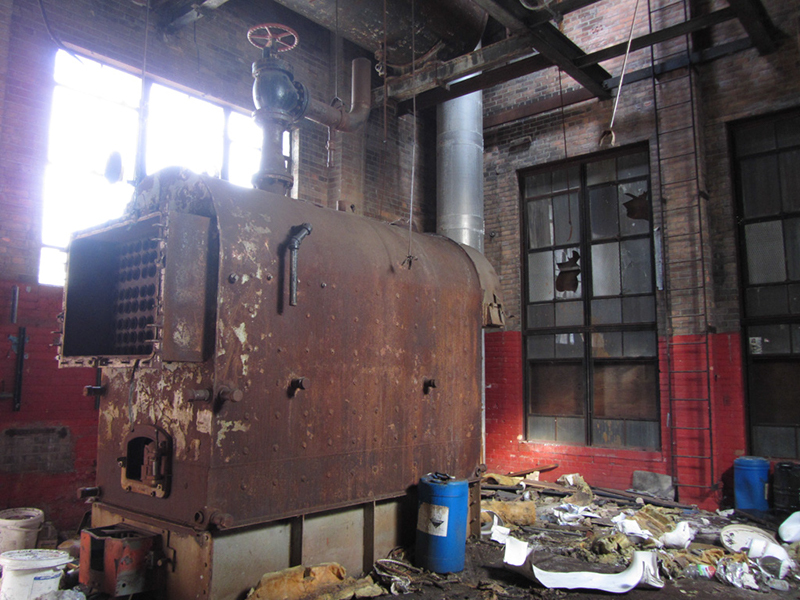 The two-story 1920s building was made of brick, with rust stains weeping from metal grills covering the windows. Upon entering the building it doesn't seem like the typical setting for a boxing gym. Kids played around, retirees took their chances at bingo, people square danced and sewed. 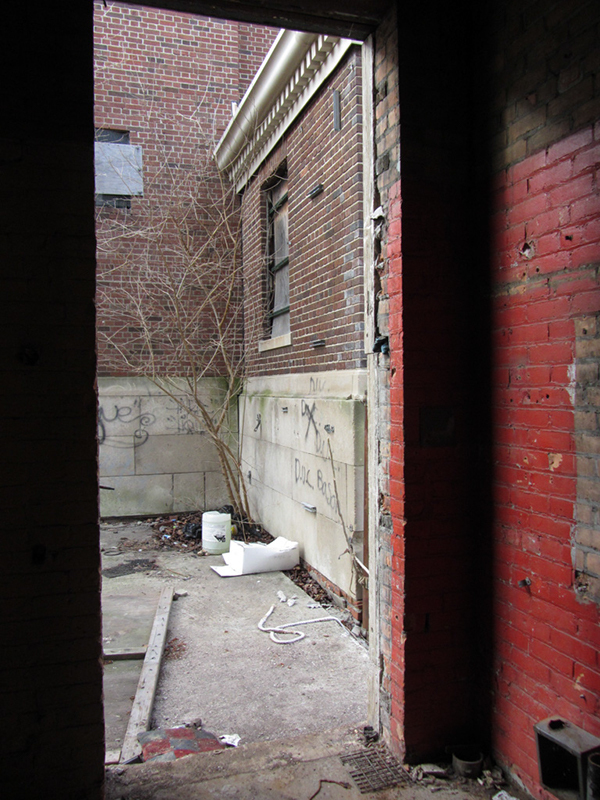 But down an unmarked set of steel stairs was the basement, where a boxing ring and training equipment stood. It was there that Emanuel began training James. Their little training sessions resulted in James becoming a Golden Gloves champ himself, and Emanuel decided to take the job of boxing instructor at Kronk Rec Center for a measly $35/week (in addition to his duties at Detroit Edison). Eventually Emanuel took six other novices under his wing, and entered them along with James in the Detroit Golden Gloves Tournament later that year. His boxers racked up 21 consecutive victories, claiming the team title. "This feat brought about national attention and has never been duplicated," according to kronkboxingteam.com, "thus beginning the Kronk dynasty." 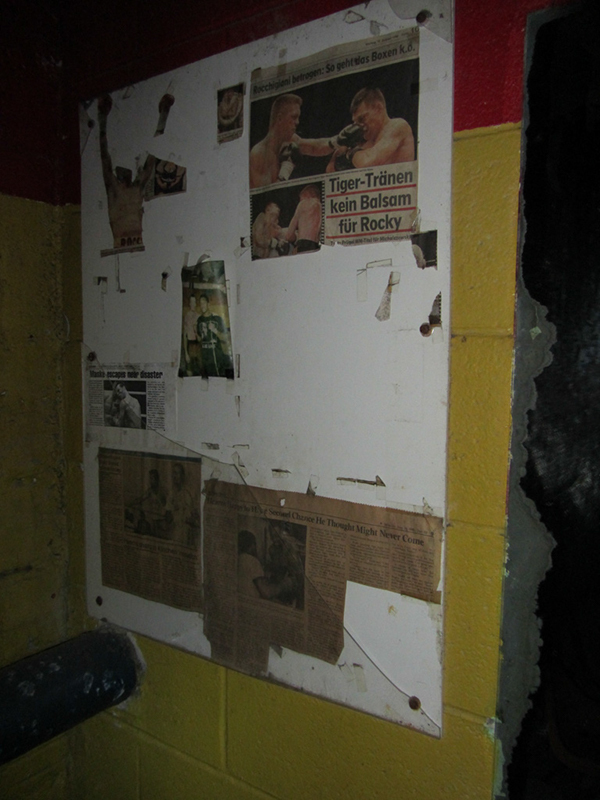 As time went on Steward got more serious about training kids to box at Kronk, and by 1972 he made it his life's focus. Back to the building itself for a moment. The rec center was first named after Alderman Edmund Atkinson, then a few years later named after John F. Kronk, who grew up in this area of the city and was of Polish extraction. According to a blurb about him written by local historian Patricia Ibbotson, he served on Detroit City Council from 1914 to his death in 1954. Among his more visible accomplishments were construction of the Detroit Veteran’s Memorial, the site selection for Detroit City Airport, and the "Kronk Five-Cent fare," which was an ordinance to keep streetcar fares affordable, credited with "saving streetcar riders five million dollars." John Kronk also fought for this recreation center to be built in his old neighborhood. After the historic night on March 2nd, 1980, Emanuel Steward's Kronk Gym continued to dominate pro boxing throughout the 1980s. In 1987, Tommy Hearns cemented his place in history as the first boxer to win titles in four different weight divisions—he later won a title in a fifth—a true testament to his versatility as an athlete. Hearns hated the nickname the press gave him, Tommy "The Hitman" Hearns, because it exploited Detroit's negative reputation as the "Murder City." He preferred the title "The Detroit Cobra," but nonetheless he is still known as "The Hitman" today. If you were growing up in the 1990s, you might remember the rivalry between Evander Holyfield and Riddick Bowe. In 1993, famous rapper M.C. Hammer turned to Emanuel Steward as one of boxing's greatest trainers to help Evander Holyfield regain his championship in a rematch against Riddick Bowe. Steward accepted the request, and he eventually did the same for Lennox Lewis and other famous names in later years, becoming "boxing's hired gun." He trained Lewis for the infamous "super matchup" where he beat Mike Tyson in 2002. In 1996 Steward was inducted into the International Boxing Hall of Fame. He had established Kronk training camps in California, Arizona, Pennsylvania, and Ireland. In his life Steward has trained or managed over 40 world-champion boxers—more than anyone else in the history of boxing—as well as three Olympic gold medalists. He also was a TV commentator / analyst for HBO's boxing programming for awhile. 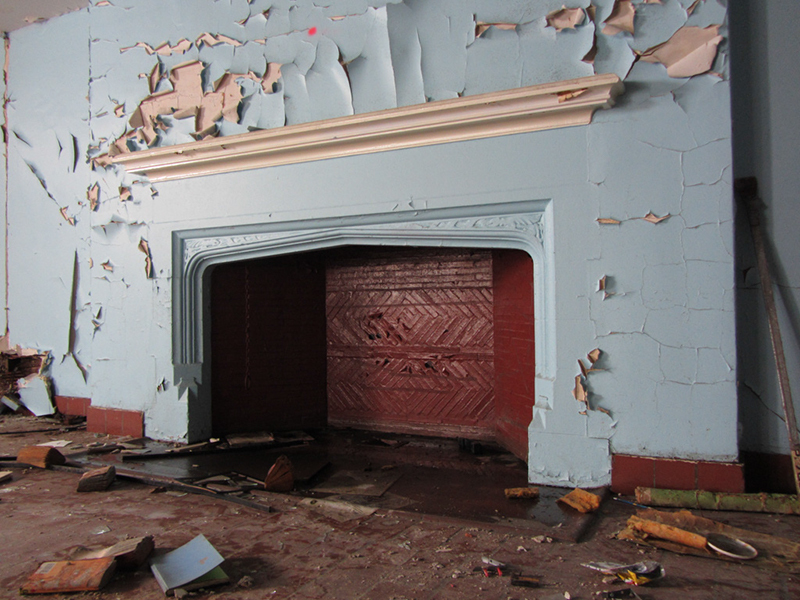 By the time I visited, the place had already been stripped of anything that the gym management wanted to keep, including the famous door, but a few things remained behind, discarded. One of the things left behind was a ratty looking punching bag that had seen some rough use over the years...I decided that it needed to come home with me. Perhaps by dint of its being from the historic Kronk, it would bestow upon me some magical pugilistic powers? According to a recent nostalgic editorial on mlive.com by David Mayo, Emanuel Steward always considered the real art of being a coach to be "turning neighborhood novices into competent amateurs." Like a true trainer, Steward believed that the best gyms were good "because they had the best amateurs; the professional side evolved organically." Having made enough money from doing training-by-request for the well known champs like Holyfield and Lewis, by 2005 Emanuel Steward planned to go back to working with the underprivileged youth of Detroit and re-establish the Kronk as a world power through its grass-roots amateur program again. Unfortunately when the scrappers crippled the Kronk center by stealing the pipes in 2006, Steward was instead forced to defer that objective and continued to work with already-established champs like Wladimir Klitschko to keep some money coming in. Klitschko was the last boxer that Emanuel Steward trained before he passed away. Other than its legendary fighters, the Kronk was known for two things, according to Mayo's column: the sheer number of trainers they had on staff was one, and the oppressive heat in the basement was the other. Even if it was 85 degrees outside, it was 95 inside, Mayo said. 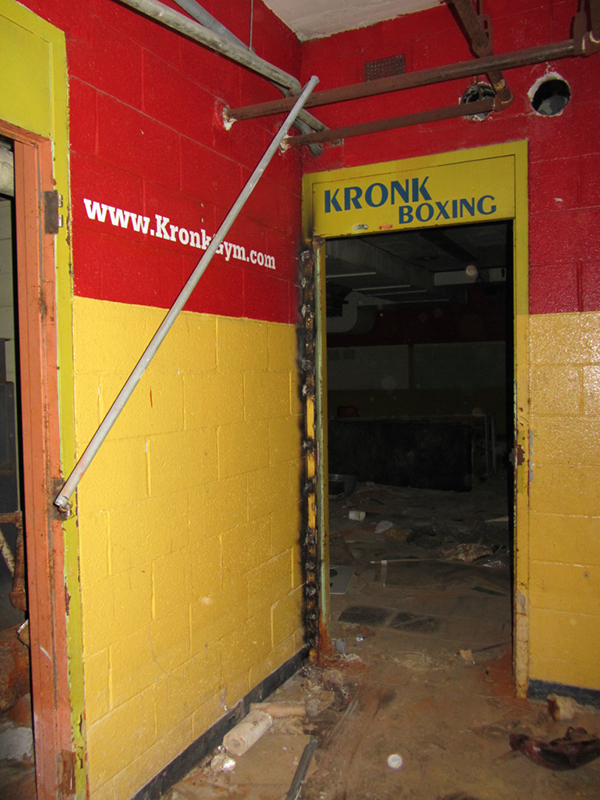 Perhaps it started as a broken boiler, but according to kronkboxingteam.com, boxers always preferred to train in the hot basement of the Kronk, because "They felt that the heated, low-oxygen surroundings help with weight control, increase stamina, and minimize injuries." It has also been said that there was a sort of magical aura about that dingy old basement gym, and very few fighters who trained there have lost. I imagine that anyone who remembered the Kronk heat as it was back then would be at a loss to comprehend the chilly bite in the air there the day I explored its cold remains. Before boxing had really made Kronk a household name, a 1974 article in the Free Press said that Kronk Rec Center was also a major hotspot for hotshots seeking the best place to learn basketball in the city, along with the courts at the Brewster-Douglass Projects, the old auxiliary gym at Wayne State, and mainly St. Cecilia's Gym. The outdoor courts at Kronk were once the haunt of Reggie Harding, a tragic figure who played center for the Detroit Pistons but ended up a heroin addict shot dead in the street, the article recounted. Another Detroit Piston, Dave DeBusschere, was also mentioned as having hooped at these courts in the 1950s before he went on to be named one of the 50 best to ever play in the NBA. On a personal note, one of my best friends once told me an interesting (if somewhat crazy) story from his days as an addict. He said that sometime in the 1990s when he was frequenting this neighborhood to buy drugs, he was jumped on the street by several locals, who then proceeded to beat him to the ground for his wallet. The assault was broken up suddenly however, by two much bigger men who came to the rescue. My friend said that when he looked up to thank the mysterious strangers, he thought he recognized one of them as..."Tommy Hearns?!" The man nodded and said "yeah," before sending him on his way. My friend told me that his memory of the incident is admittedly hazy, but it's a good story nonetheless. 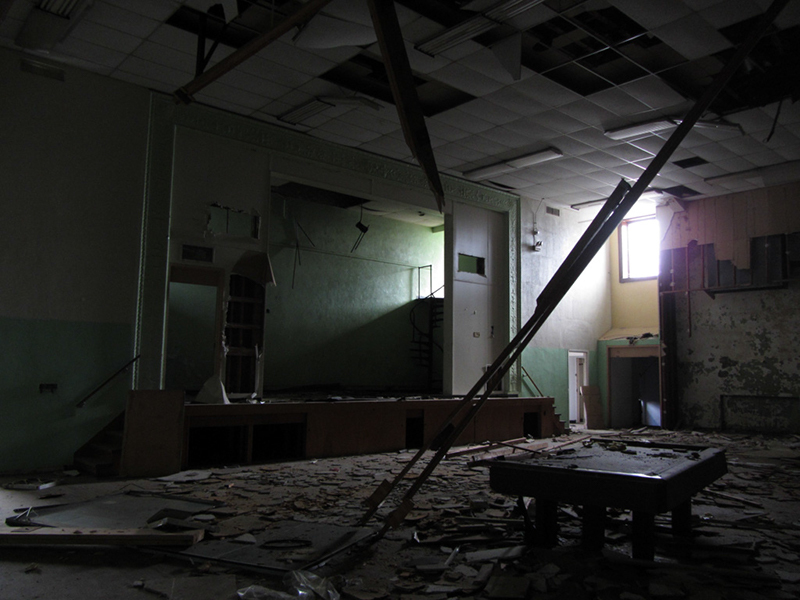 The room was completely dark, and the air inside was completely still. It was a basement after all, and the stuffiness and intense silence of the atmosphere made this moment feel particularly eerie to me. I could only see as far as my flashlight beam or camera flash would illuminate for a split second. The dampened acoustics made it feel like someone had their hands over my ears. 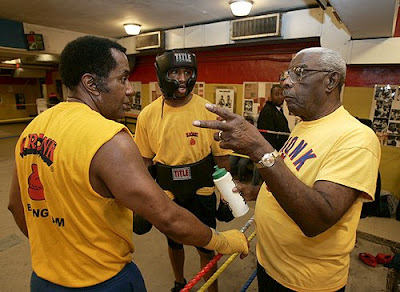 ...Emanuel Steward himself stands on the left while 91-year-old trainer Walter Smith stands at right. 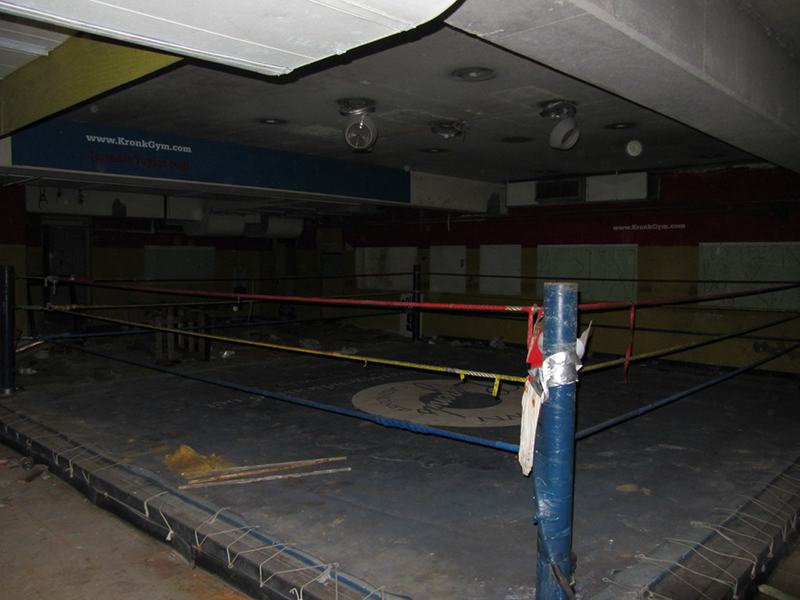 Another world-famous Detroit boxing temple was the Brewster Rec Center, where Joe Louis himself learned to fight. 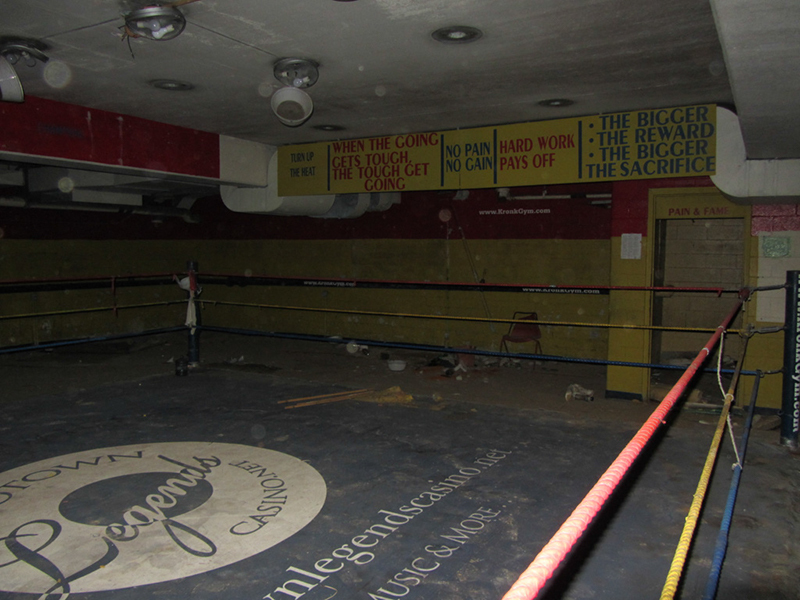 It was where Emanuel Steward too was first given formal boxing lessons, so I guess it is fair to say that a great portion of America's boxing prowess sprang directly from the basement of the Brewster. The King Solomon Baptist Church on 14th Street is also tied to Kronk boxing history—it was in that church's basement where Emanuel Steward allegedly first coached Tommy Hearns, according to its historic district designation report. 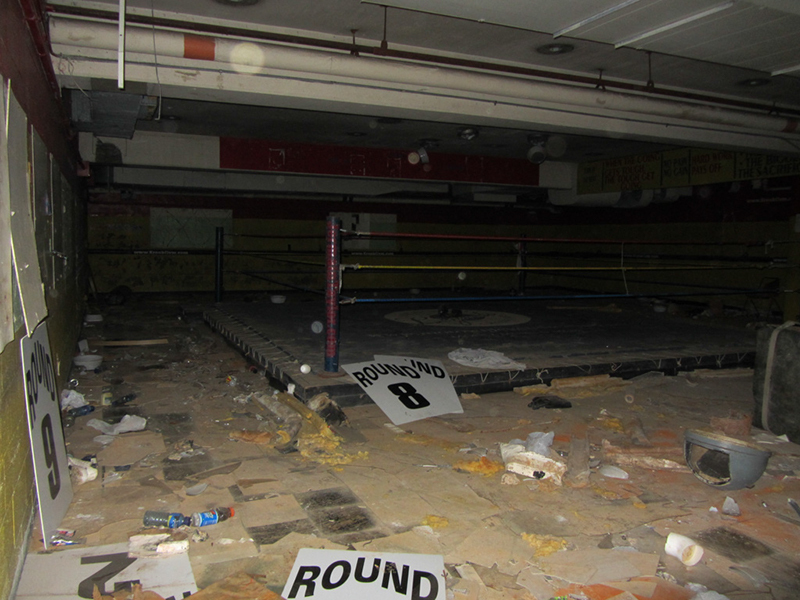 Why did a church have a fully equipped boxing ring in its basement, you ask? Because Detroit, that's why. I explore this church in greater detail in an older post. 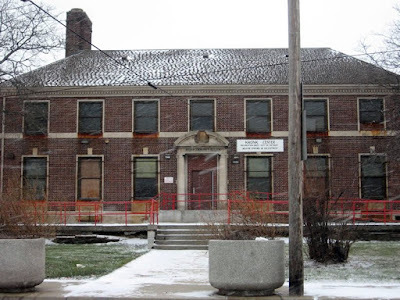 In any other region, the hallowed Kronk Rec Center would be a protected cultural jewel, still in use as a Mecca for training boxers and a museum to the legacy of fighting in Detroit that people would come from across the globe to experience. 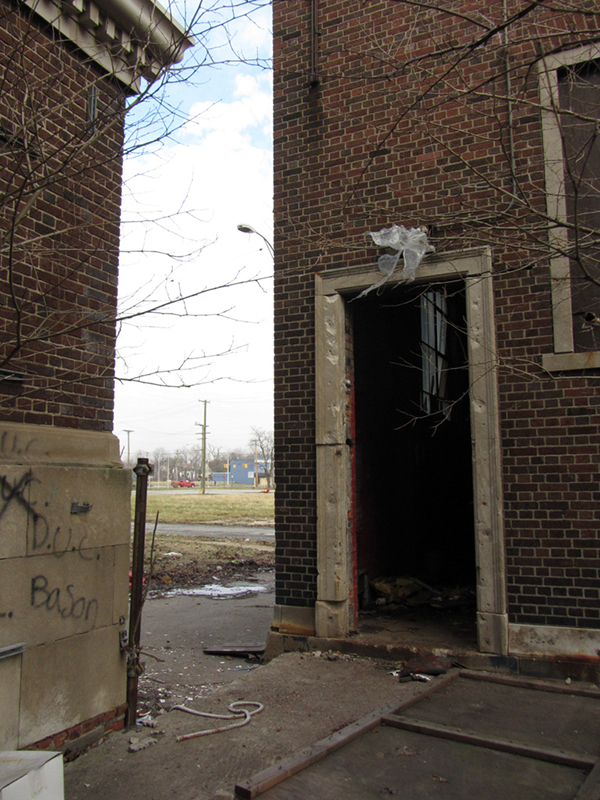 But because this is Detroit, and our culture is divided and careless of its own history, the world's greatest boxing school sits in complete neglect, as well as everything around it. In November 2006, right after the original Kronk closed due to the stolen pipes, Sylvester Stallone chose to hold a sneak preview of his new film "Rocky Balboa" here in the suburb of Southfield, which was done as a benefit fundraiser to help Kronk Gym recover. Tommy Hearns and Emanuel Steward also made appearances that night. There was another fundraiser in 2009, which Phil Anselmo (lead singer of Pantera) took part in, and I believe Madonna also made a large donation. 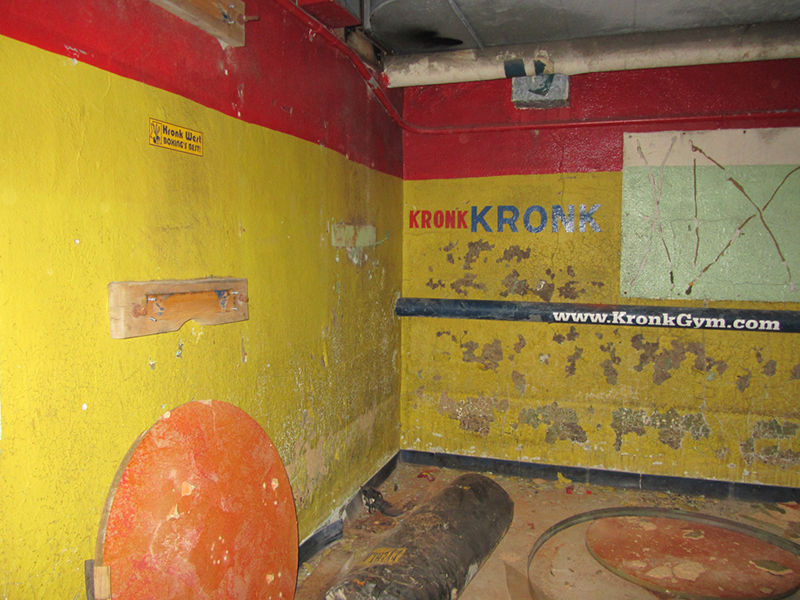 Sadly the Kronk program has been forced to move from temporary location to temporary location since that time, and Mr. 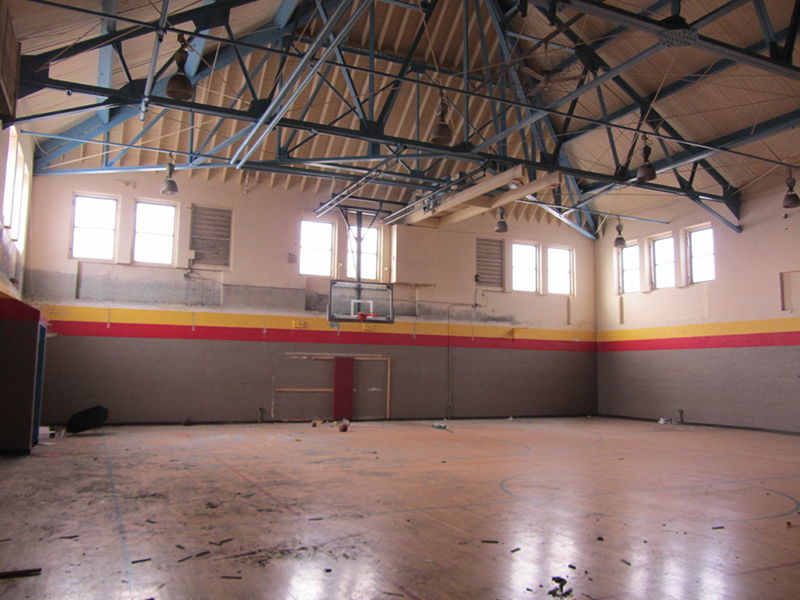 Steward passed away in November of 2012, which called the historic gym's future even further into question. As best I can gather from all of my sources, the progression of relocations of the Kronk Gym is as follows. They left their original location at 5555 McGraw and moved to Gold's Gym in Dearborn in 2006, then to an old storefront (near my current house) at 19239 West Warren Avenue in 2008, then if I recall correctly, there was talk of moving to the suburb of Southfield. At time of writing the gym is still located on Detroit's west side at 9520 Mettetal, in the basement of the Fountain of Life Church. Since Emanuel Steward passed away, his family rarely has seen eye-to-eye on how to continue the Kronk tradition. 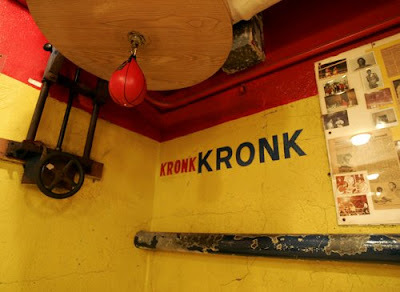 Many opportunists have also tried to glom onto the Kronk name without actually having rights to it, while the family fights to retain the legal rights to it in the hope that they can reopen the original Kronk Gym again if they can manage to align the necessary resources, logistics, and good fortune. Many outsiders have also come to the Steward family asking to open up pro gyms in other states under the Kronk name, but it is the family's belief that Detroit youth should come first, since that was always where the original focus was. With female boxer Claressa Shields coming to power as an Olympic gold medalist fighting out of Flint, maybe Michigan's boxing legacy is ready for its star to rise again? On the bright side, despite the old Kronk Rec Center's current shabby appearance, it did coincidentally have a brand-new roof put on it right before it closed, so if someone with the money were to come along and want to fix the place up again, chances are decent that it remains in good shape structurally. It was connected to the building by a short tunnel, which was how I got in to explore Kronk for the first time, back when it was actually challenging to get in. The crawl through that cramped tunnel was quite hard on the neck and back, but just like the words of "Pain & Fame" that the famous fighters of yore lived by, to enter the Kronk I would have to earn my passage. 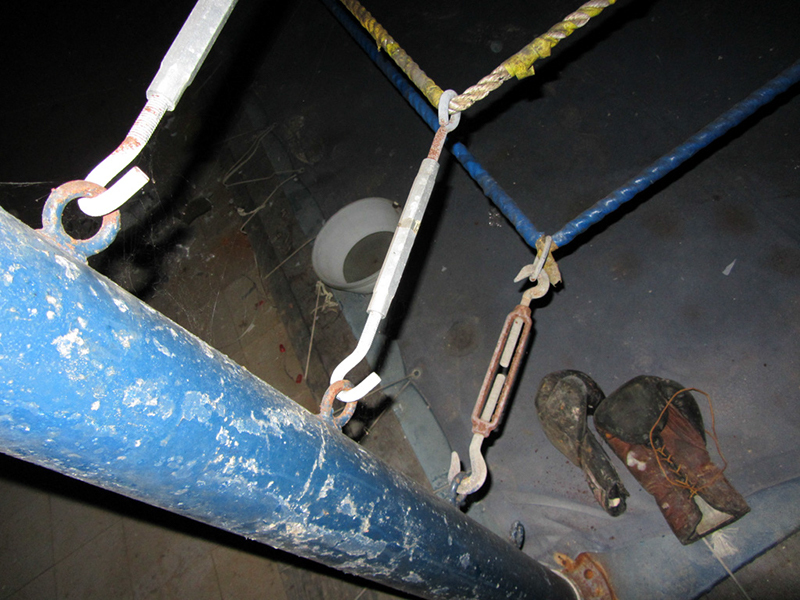 Doubly difficult was getting back out, with that bulky, 150lb punching bag in tow...I nearly threw my back out dragging it through the tunnel over and under pipes, and up the small iron ladder to the surface. It was about 20 degrees down in the tunnel that night but I was sweating like a pig. But I still have the bag, and although I had to patch it up a bit, I still use it. 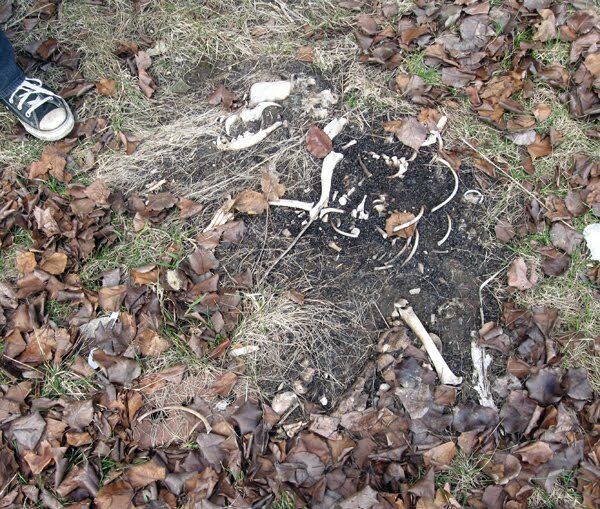 Behind the Kronk after a spring thaw, we found this—OMG it's the skeleton of Le Nain Rouge! ...He musta caught a beatdown from Tommy Hearns. Speaking of whom, it seems as though while I was writing this the city decided to honor him with a stretch of McGraw Avenue named in his honor. I give it a month before some clown steals the signs. In my opinion, from a modern cultural perspective the Kronk is one of the most historically significant places that is still standing in the city today, and one of the ones that I most hope is saved from ruin. 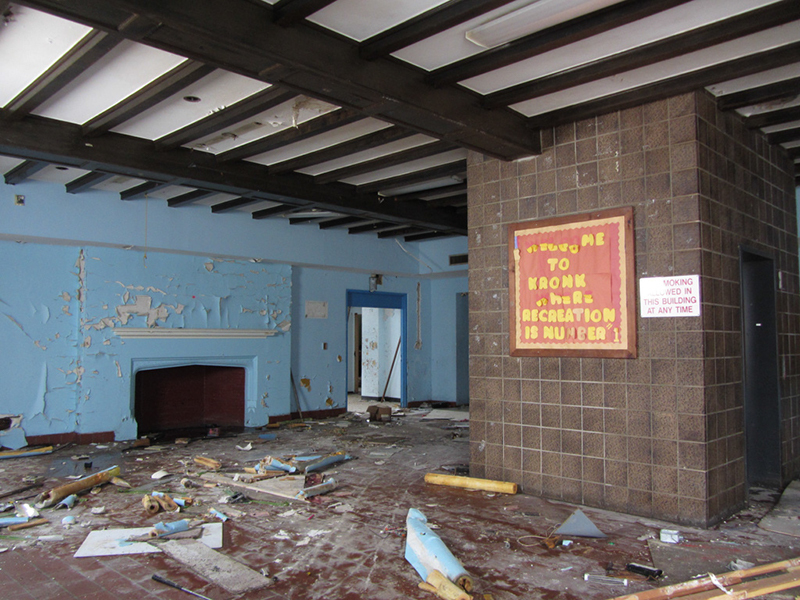 We don't need any more historic markers in Detroit—we need places like this to remain in use, serving the function for which they were intended. 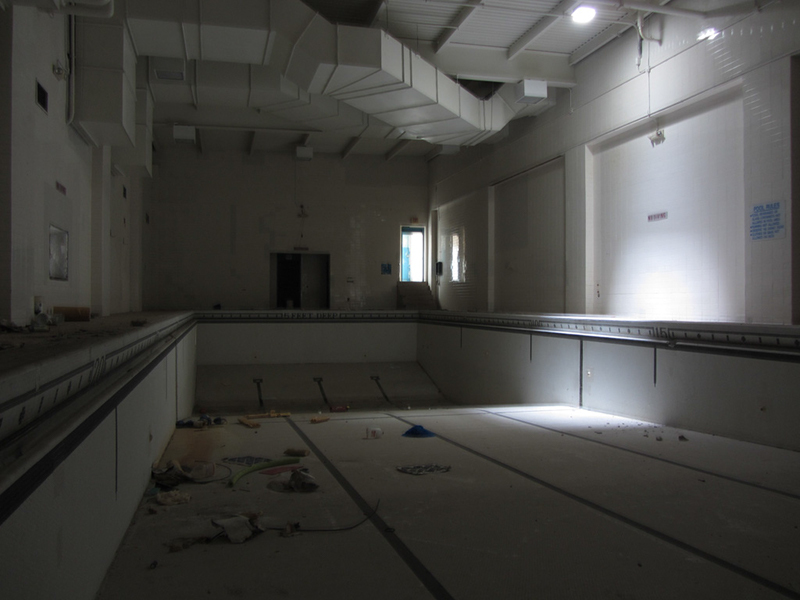 Update: In October of 2017 the Kronk Rec Center was gutted by arson.